Ahhh spring…. our favourite time of the year! Everything starts growing and greening up, as the cold weather is replaced with lovely warm days, and you’ll want to get outdoors and enjoy the sunshine. You’ll also want to restore your lawn to its peak condition after taking a beating from the harsh winter elements, so here are a few tips for getting your lawn back into tip-top shape. In order to have the best lawn, you need to have the best soil. Depending where you live, and the soil you have will play a very big part here. 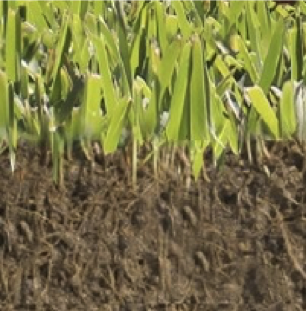 There is no quick fix for all soil types, so you’ll need to apply a treatment which is specific to the profile.